It’s 2015! The world is still awful! Tim and I are still writing three essays apiece on The Wicked + The Divine every 90 days. Here’s the first set, with the usual mix of puns, chin-stroking, and pushing the blog format to its limits. Nothing has changed. Everything is awesome. In Phonogram, Gillen and McKelvie’s first series together, the eyes of each Phonomancer transform when they work their magic, in a way that reflects their personality or what they’re summoning. When Penny manipulates others in issue #1 of The Singles Club, for example, her eyes are a sparkling black star-field; when she dances for herself, they light up purest white. In Gillen’s alternate history WWII comic Uber, the super-powered panzermensch shoot glowing orbs of disembowelling energy from their eyes (which, interestingly, are also their exhaust-port-on-the-Death-Star weak spot). Once again, this motif returns in The Wicked + The Divine. From our very first glimpse of the Pantheon, at Amaterasu’s gig in #1, the focus is on her solar-eclipse eyes, framed in a widescreen panel. It’s something we see again at the end of the arc, when the Pantheon briefly flip from modern pop stars into ancient warring gods. Luci’s sharp blue eyes flip to infernal red as she burns everything around her. When Baal lays the smackdown upon her, lightning leaks from his eyes in a way that is particularly reminiscent of Uber. Like one of those ridiculous Super-Saiyan hairdos, these effects only switch on when the gods are being godly – when they are performing or fighting or, possibly, just being iconic. Each chat’s particular eye effect is showcased on their cover, which presents them in a style halfway between a modern promo poster and a Renaissance religious painting. The eyes are the centre point of each cover’s design, placed in the negative space of the title, with a big old ‘+’ placed dead between the eyes. Most of the character designs similarly point to the eyes – Amaterasu’s colourful sunrise eye make-up, ​Tara’s block of blue facepaint – or, like Baphomet’s mirrored aviators and Minera’s Lennon shades, obscure them. Like the Phonomancers, the designs of each god’s eyes and the surrounding area tell us a little about their personality – the Morrigan’s eyes remain a dilated pale green in each of her aspects, but her eye make-up switches from the neutral dash of Macha to the sharp angry wedges of Badb to the chaotic asymmetry of Annie. Or they refer back to their mythic origins – Amaterasu’s eyes reminding us that she is a sun goddess, or the flat dashes of Baal’s pupils recalling those of a goat, one of his common avatars. Or they tell us about the nature of their powers – the star tattooed over Inanna’s left eye, and the big white-on-black pupils of his eyes, reflect his constellation-divining abilities. Or, actually, they tend to do all three at once. Look at the star of the most recent issue, Dionysus. 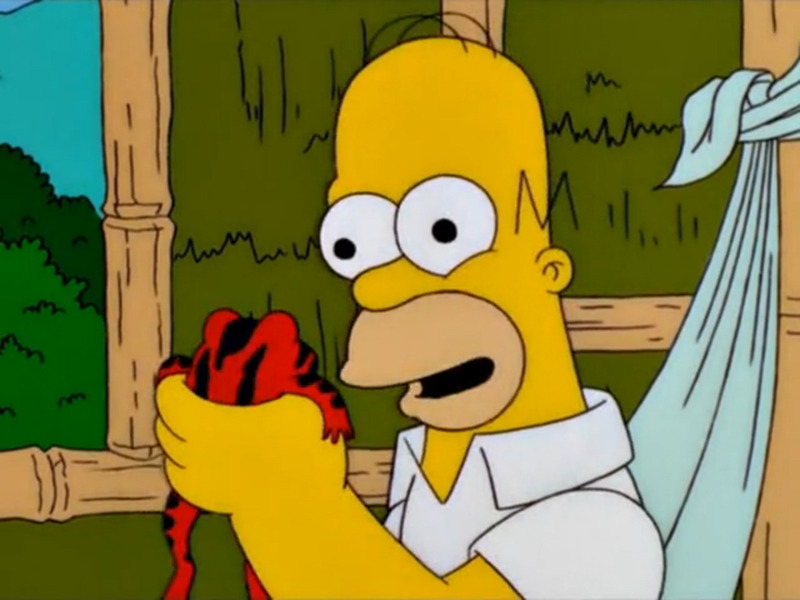 His pupils are a dilated until they fill his entire eyes, like someone who has licked a psychoactive toad (at least, based on what The Simpsons has taught me). All the dancers on his ‘floor have the same effect, showing how they’re linked together in a single grooving hive mind. When the comic slips into hallucinatory colours, all of the black ink seems to been absorbed into Dionysus’ eyes. It makes sense – he’s taking on everyone’s burdens so they can have one night’s happiness – and it sets up the kicker at the end of the issue, where the curtain pulls back and we see his nightmarishly bloodshot eyes. It’s a quick, powerful way of expressing how much of a burden being a god is. But most of all these eye effects just look incredibly cool. That may be the only explanation you need, but that wouldn’t be very us, so instead I’m going to ask: Isn’t it a bit strange that characters whose divinity is tied to music have that manifest through their eyes rather than, say, their mouths? That’s undeniably true but, given its cast of deified pop stars, The Wicked + The Divinehas so far not shown much interest in directly capturing the feel of music on the comics page. By comparison, when we see The Morrigan doing karaoke in #7, the emphasis is very much on the sound: “like meat being peeled from bone”, as Laura puts it. Badb screams the lyrics of a My Chemical Romance song straight at us in bold, scratchy letters. Issue #8 is where this potentially all falls down. The entire comic moves to an explicit four-on-the-floor beat, and is the most accurate representation of an alive dancefloor I’ve encountered in any media since The Singles Club. There’s almost no sound for Team WicDiv to try and capture, and so they play with the other stuff. When we compare Inanna to Prince or Baal to Kanye or whoever, we’re not talking about their sound, but their style, on posters and album covers and in music videos. The way they communicate through, and are presented, in the media. Similarly, Laura’s experiences are probably familiar to members of any fandom. Bending the way you dress; finding friends who share your obsessions; idly fantasising about what your favourite would be like as a person; maybe even reshaping the way you think about yourself. These are just as valid and integral a part of being a music fan as the experience of actually listening to the songs but, while they’re particularly applicable to pop music, they’re certainly not unique to it. I’m not arguing that this is an abandonment of Gillen & McKelvie’s familiar theme, but a broadening. As Gillen points out, what The Wicked + The Divine’s gods do isn’t necessarily music specifically but art. You could substitute any art form into The Wicked + The Divine – videogames, ballet, the work of Zinedine Zidane, comic books, whatever – and its portrayal of fandom would still ring true. 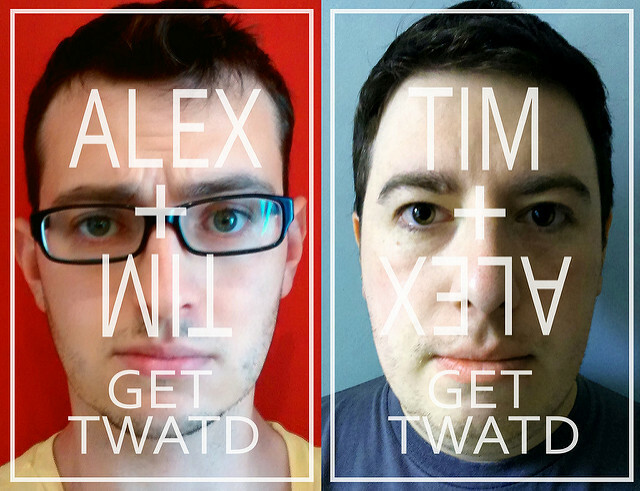 Next time on Tim + Alex Get TWATD: Partying like it’s 1999, assorted japes.